SA’s most famous Scooter is Born! Ladies and Gentleman, we are proud to announce the arrival of “Social SYM”, South Africa’s most famous scooter! Through social media, including Facebook, Instagram and Twitter, you will be able to follow the life and adventures of Social SYM! 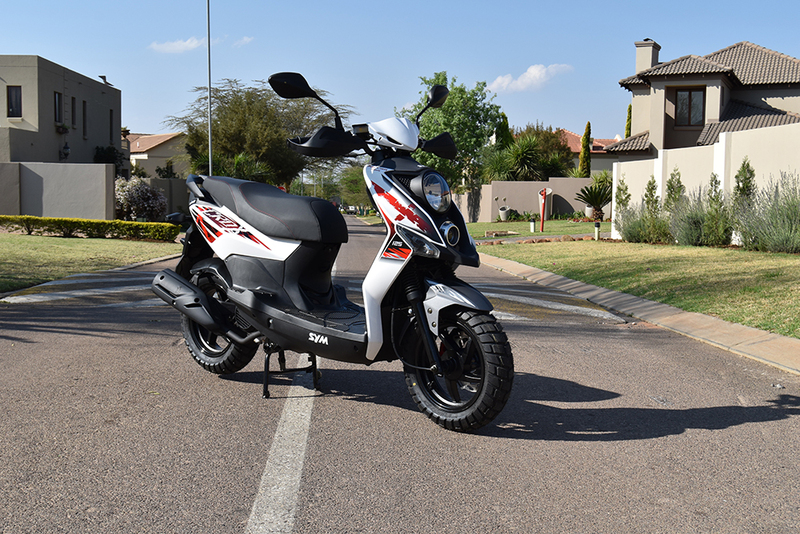 Social SYM is a SYM CROX 125 by model and is a very talented scoot, capable of a range of tasks! He stems from a very reputable bloodline and enjoys the quality pedigree that is prevalent in the entire range of SYM motorcycles and scooters. He is not the most modest street weapon either and will go out of his way to show off his fantastic build quality, durability and reliability! Social SYM also has a bit of an “alter ego” and every now and again “SYCO SYM” might just make an appearance! There are some really cool extreme adventures planned for him! Social SYM is on a mission to bring awareness to the benefits of how scooters and people can work together to make the world of commuting a better place! A scooter should no longer just be seen as an affordable means of transport, but also a practical and logical way to travel! Whether you looking for a ride down to the gym, a quicker, cost saving alternative to work or even an independent means of getting to school. Then keep an eye out for Social SYM, he will do his best to showcase all of his capabilities! Author Crescent BikesPosted on 12 September 2015 Categories Motorcycle NewsTags Social SYMLeave a comment on SA’s most famous Scooter is Born!